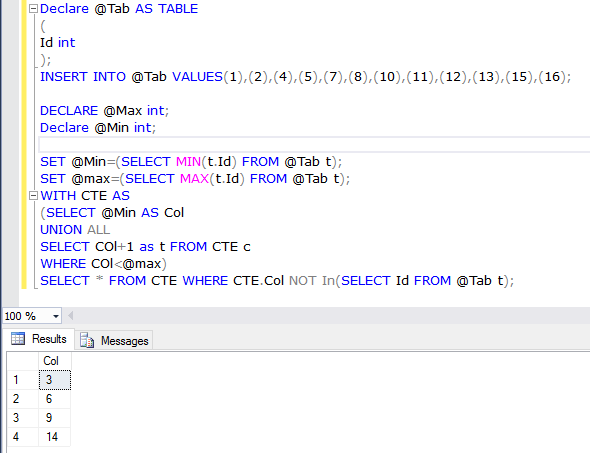 I have a @Tab table, which has an ID column. 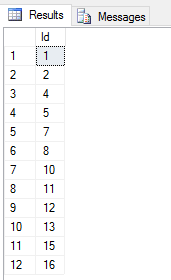 In this column, some values are missing between the first and last value of the column. Now, I will try to find out the all the missing values between 1 and 16. This query returns 4 values: 3, 6, 9, 14. These four values are missing in ID column of @Tab.